Above our Bakery is a lovely apartment with exposed brick walls and original hardwood floors. I’ve always thought it would be a wonderful space for a cooking class. And now we are bringing that dream to life. The renovations are almost complete and the space should be ready in early November. 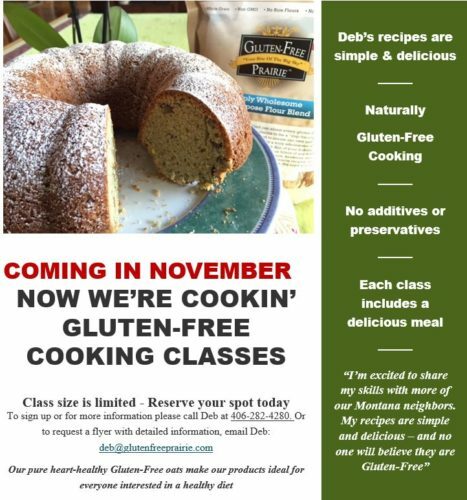 I can’t wait to share my skills and delicious Gluten-Free Prairie Goodness with more of our local Montana neighbors. 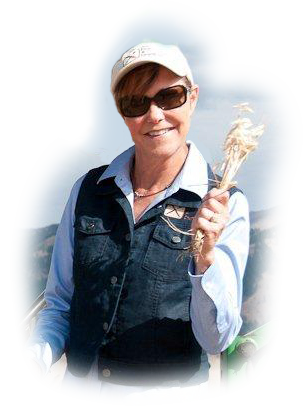 If you’re near Manhattan, Montana and interested in learning simple, healthy ways to cook and bake gluten-free, please contact me directly for details: 406-282-4280 x 107. All of our products are Naturally Gluten-Free with no preservatives, Xanthan or other gums or additives. You don’t have to be gluten-free to enjoy healthy cooking and baking. Our pure heart-healthy Gluten-Free oats make our products ideal for everyone interested in a healthy diet. All Gluten-Free Prairie products are Certified Gluten-Free using only Purity Protocol oats which are grown in designated fields, harvested and packaged with designated equipment.